Around this time of the year, 450 years ago, the destruction of the medieval city of Vijayanagara, in today’s Hampi, Karnataka, India, would have ended. 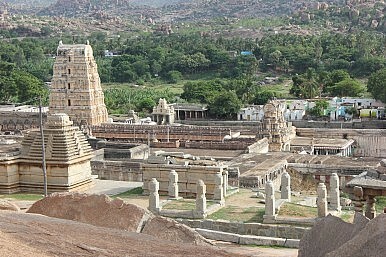 According to records, the city of Vijayanagara was destroyed over a period of five months after the defeat of its army at the fateful Battle of Talikota on January 26, 1565. Survey accounts of Indian history–both Indian and Western–usually focus primarily on the great pan-Indian empires based in Northern India, much to the neglect of West, East, and South Indian history, which are just as important in India’s development. At the time of the Battle of Talikota, the Mughal Empire was expanding under its famous Emperor Jalal ud-din Muhammad Akbar, so it is easy to overlook what was going on elsewhere in the subcontinent. In any case, the Battle of Talikota is one of the most important battles in South Asia’s long history and the Vijayanagara Empire that it impacted, extremely significant to Indian history. 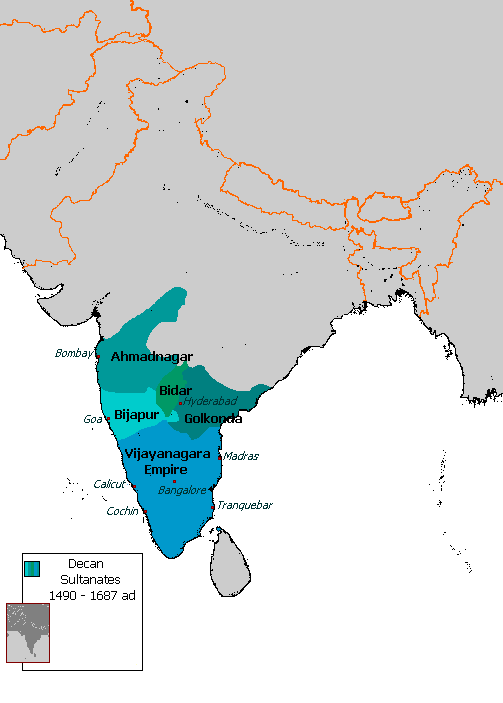 The Vijayanagara Empire was established in 1336 C.E. during a turbulent period in India’s history, and eventually grew to encompass all of South India. The old order in South India was being swept away during this time by the invasions of the Delhi Sultanate, which itself had only been established in 1206 C.E. in North India due to the invasions of Muhammad of Ghor in today’s Afghanistan. 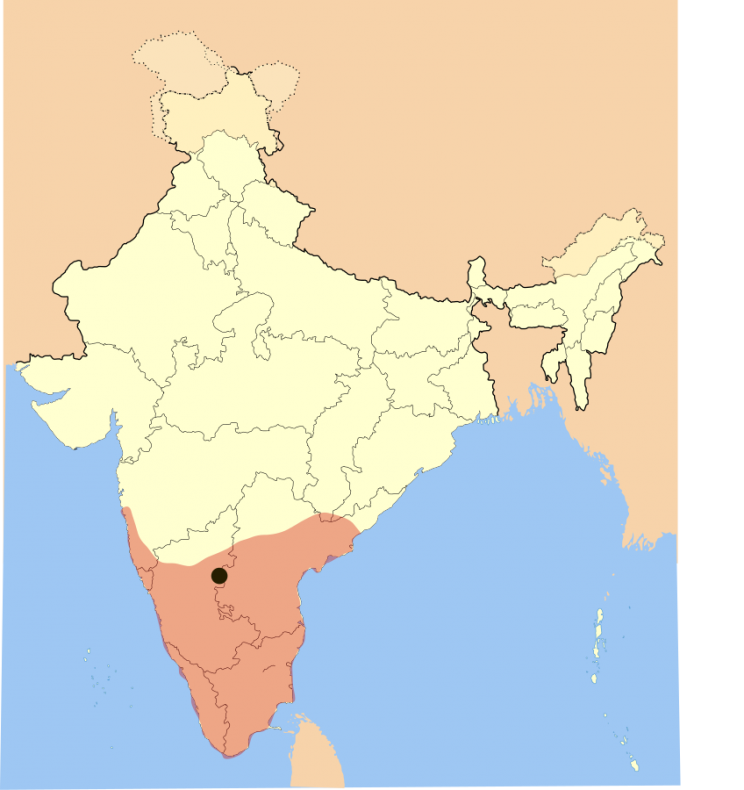 In South India, many ancient dynasties collapsed during the early 14th century like the Tamil Pandyas, the Andhra Kakatiyas, and the Kannadiga Hoysalas due to Muslim invasions (the invading Tughluq dynasty of Delhi itself collapsed in decades due to overreach). 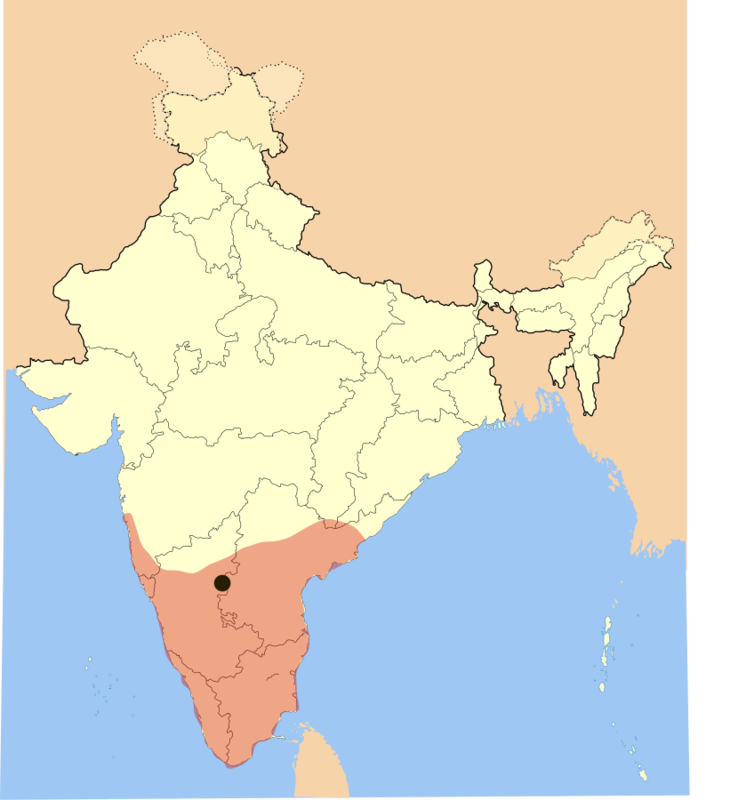 However, Hindu rule over South India was preserved and consolidated under two brothers who first swore allegiance to Delhi and then rebelled: Harihara and Bukka. Within a century, Vijayanagara would grow to be South India’s largest empire. Vijayanagara, like many empires of its time, witnessed a transition between the medieval and early modern periods. Although this method of dividing history is primarily a European construct, it is still useful to talk of an early modern period throughout the world because of its distinct features. These distinct features can be found in Hindu India of around 1500 C.E. in Vijayanagara, and include expanded sea trade (the first Europeans to arrive in India, the Portuguese, arrived in Calicut, a Vijayanagaran vassal), gunpowder, and cosmopolitanism. Vijayanagara was thus a prosperous empire of cities and wealth. Strong Islamic influence also entered Vijayanagara in terms of architecture. It was also known for its patronage of the arts and literature, especially in the Kannada and Telugu languages, the main languages of its populations and ruling classes. Many of the most esteemed poems of these languages date from this period. However, Vijayanagara is especially important because it provided a bastion of Hinduism when much of the subcontinent came under Islamic rule. There is no doubt among historians that Hinduism would have survived in any case–after all, it remained the dominant religion in Muslim ruled North India as well–but under Hindu rule in Vijayanagara, it remained vibrant in a more pristine form philosophically, intellectually, musically, and architecturally. Most notable Hindu intellectuals from this time were from South India. This is not to suggest, however, that interesting developments and fusion did not occur in North India as well. Throughout most of its history, Vijayanagara had to contend with the Bahmani Sultanate, which broke away from the Delhi Sultanate around the same time Vijayanagara was founded. The Bahmani Sultanate was based primarily in Maharashtra and Telangana; it was ruled by a Muslim elite and most of its population was Hindu. One of its main ports, Goa, was seized by the Portuguese in 1510 with the help of Vijayanagara. The success of Vijayanagara led to the fragmentation of the Bahmani Sultanate, which split into five daughter states by 1518. This was due to the military victories of Krishnadevaraya (who ruled from 1509-1529 C.E. ), the strongest ruler of Vijayanagara. However, the success and manipulation of Vijayanagara so threatened its neighbors that the sultanates of the Deccan allied against it, meeting it battle at Talikota near the capital city of Vijayanagara (named that as well) on January 26, 1565. To the shock of many, the Deccan sultanates prevailed against the forces of Vijayanagara because their main general died in battle and due to the use of tactics and superior cannon. Oddly enough, the notables of the Vijayanagara and its rulers fled in the aftermath instead of attempting to hold their capital. The city of Vijayanagara was systematically destroyed and plundered in the course of the next five months and is today mostly a ruin. The empire managed to survive until 1646, but much of it either fragmented into independent kingdoms like Mysore and Madurai or came under Islamic rule; most of the region was absorbed into the Mughal Empire in any case within a century. The fall of Vijayanagara ushered in the end of the distinct and separate political and cultural evolution of South India seperate from North India. India’s Evolving Linguistic Landscape: Beyond Hindi5 Ways India Can Become a Soft Power SuperpowerThe Battle of Kohima and Indian Historical Consciousness3 Biggest Misconceptions About IndiaThe Alliance of Indian Kings: Can a Coalition Defeat Modi’s BJP in the 2019 Elections?